This is coming as protests continue to trail the October 3, 2018 exercise in the senatorial district.Ibekaku-Nwagwu had reportedly said that Mbaka, who is Founder of the Adoration Ministries in Enugu, prayed for her victory against Deputy Senate President, Ike Ekweremadu of the Peoples Democratic Party (PDP) in next year’s election. But in statement issued in Enugu yesterday, Okechukwu said he has great respect for Mbaka, but doubted if he (Mbaka) would pray for a ‘stolen mandate,’ which Ibekaku-Nwagwu was bandying about.Okechukwu stated that Ibekaku–Nwagwu did not earn the results allocated to her in the primaries, stressing that he had protested the outcome of the exercise to the party’s Appeal panel in Abuja. 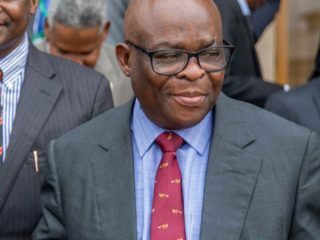 He alleged that the result was not only brazen, but an utter imposition of candidate done without tact, as it clearly demonstrated complicity of the Professor Moses Momoh-led Primary Election Panel. 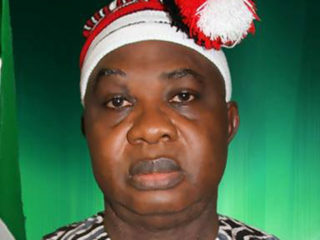 In the petition titled: Protest Over Allocation of Votes to Mrs. Juliet Ibekaku-Nwagwu in Enugu West Senatorial District Primary Election, Okechukwu stated that the 5, 750 votes to Ibekaku-Nwagwu, 4,015 to Gbazuagu Nweke Gbazuagu, 2, 344 to Osita Okechukwu, and 600 votes to Pius Eze, amounting to 12, 709 votes, were wrongfully allocated. Meanwhile, the Abia State chapter of the Restoration Party of Nigeria (RPN) held its primaries at Aba and elected Dr. Udo Ahaiwe its governorship candidate and Ohanaeze Ndigbo Youth Wing Chieftain, Goodluck Egwu Ibem, as House of Assembly candidate for Aba South constituency. 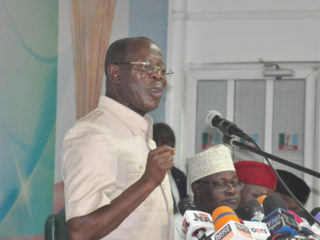 Addressing party members, Ahaiwe described RPN as a party of believers called to take the gospel of Jesus Christ to political leadership positions, turn the people from darkness to light and from the power of Satan to God.“I have come to call every Abia person to repentance so that God will send us a time of refreshment and restoration. No politician or political party can save us. “If we turn to God in genuine repentance, He will save us and bring us out of hardship, sufferings and sorrow,” he said.